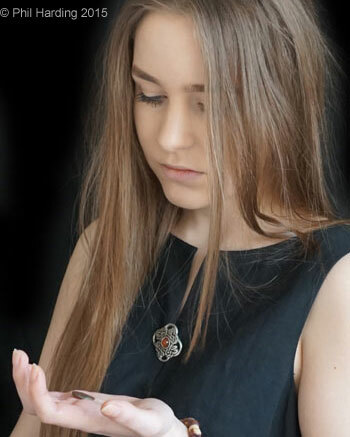 Here we provide a timeline of key and interesting historical national and worldwide events from the time when the Saltford Carthaginian Coin (link) was struck in the western Mediterranean, probably in Sardinia or at Carthage, to its discovery in 2012. We have shown in green in this timeline what was happening in Saltford whilst major changes, developments and history were being made elsewhere around the world and in England. Naturally we have been selective in what we have included; we cannot include everything! Although there are links to the BC, AD and Century listings of events to help you navigate this page, the best way to appreciate the timeline is to slowly scroll down the page. 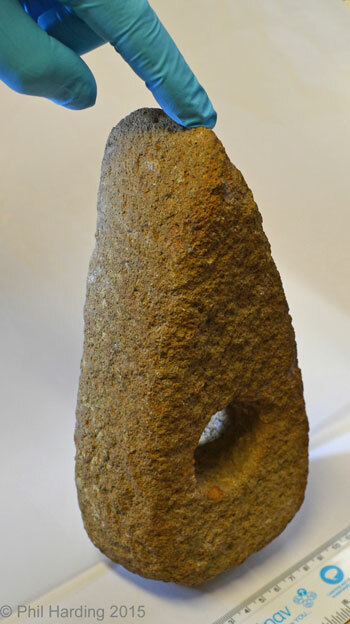 Stone Axe Hammer found in Longreach, Saltford in 1952. & possible meanings of "Saltford"
300 BC Construction of the world's largest pyramid, the Great Pyramid of Cholula, commenced in Cholula, Puebla, Mexico. Click on coin for details. 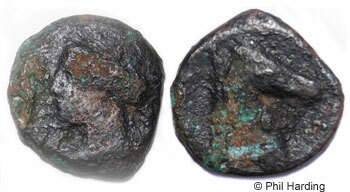 300 - 264 BC Saltford Carthaginian Coin struck in the western Mediterranean, probably in Sardinia or at Carthage. 264 BC Start of First Punic War, Rome versus Carthage. 260 BC Battle of Mylae (a town now known as Milazzo in northern Sicily): the first real naval battle between Carthage and the Roman Republic and the first great Roman naval victory. 255 BC Hebrew Old Testament translated into Greek and called the Septuagint. 241 BC End of First Punic War, Sicily becomes first Province of Rome. 218 BC Start of Second Punic War, Hannibal crosses the Alps (with elephants). 216 BC Battle of Cannae: Hannibal victorious over Roman Army. 214 BC Great Wall of China constructed (by linking existing walls). 212 BC Siege of Syracuse (Sicilian city) ends with its capture by Romans - death there of Archimedes (Ancient Greek mathematician, physicist, engineer, inventor, and astronomer). 207 BC Battle of Metaurus. A decisive Roman victory over the Carthaginians ending their hope of overcoming Rome. 201 BC End of Second Punic War. Rome now dominates the Western Mediterranean. 149 BC Start of Third Punic War. 146 BC Carthage destroyed (and the Carthaginian Empire that had lasted over 600 years ends). Roman province of Africa formed. 55 BC Julius Caesar's first British expedition (part of his Gallic wars). c.51 BC: Cleopatra becomes Queen of Egypt. 51 BC (estimated) Cleopatra VII (from age 18) becomes Queen of Egypt (until 30 BC). 45 BC Julian calendar introduced by Julius Caesar as a reform of the Roman calendar. 44 BC Julius Caesar murdered. 44 BC Julius Caesar's great-nephew, adopted son & heir Octavian becomes ruler of the Roman Republic - renamed Augustus (means "Commander Caesar, Son of the Divine, the Venerable"). 300-264 BC: Saltford Carthaginian Coin struck in W Med. 3 or 4 Birth of Jesus Christ, Bethlehem (precise date uncertain). 6 Civil Service Examination system in China. 37 or 38 Crucifixion of Jesus Christ, Golgotha, outside Jerusalem (precise date uncertain). 43 Roman invasion of Britain. Invasion was ordered by Emperor Claudius and undertaken under the command of Aulus Plautius. 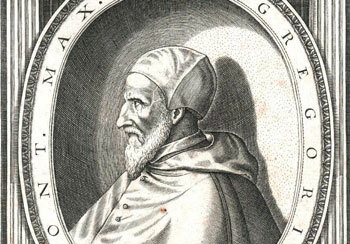 Aulus Plautius became first governor of the new province, from 43 until 47 when he was replaced by Publius Ostorius Scapula. from the Temple at Bath, found in Stall Street in 1727. Displayed at the Roman Baths (Bath). 60s Romans begin building a formal temple complex at 'Aquae Sulis' (Bath). 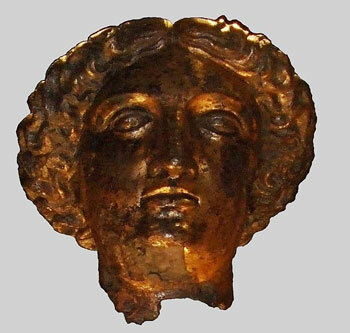 Note: The first shrine at the site of the hot springs was built by Celts, and was dedicated to the goddess Sulis, a nourishing, life-giving mother goddess, whom the Romans identified with Minerva, the Roman goddess of wisdom and sponsor of arts, trade, and strategy. c.61 Death of Boudica (or Boadicea) who had led uprisings against the Roman invaders in eastern England (e.g. Colchester or 'Camulodunum') and London ('Londinium'). 306 Whilst in Britain Constantine I becomes Roman Emperor ("Constantine the Great" also known as the first Christian Emperor) on the death of his father, Flavius Valerius Constantius, in Eboracum (York). Britain quickly accepted his rule. late 4th century Britain under increasing pressure from barbarian attack on all sides. c.410 Commencement of Anglo-Saxon settlement of Britain as the coastal lowlands of Britain developed from a Romano-British to a Germanic culture following Roman withdrawal in the early 5th century. c.430 Ending of Roman rule of Britain. 525 Anno Domini dating system devised by Dionysius Exiguus ('Dennis the humble'), a Scythian monk (Romania). 577 Battle of Deorham (or Dyrham) leads to the capture of 'Aquae Sulis' (Bath) by the West-Saxons from the Britons. 757 Offa (King of Mercia 757 - 796). Rules over Kent, Sussex, East Anglia and the Midlands, and allied with Beorhtric of Wessex. 787 1st recorded Viking raids on England. 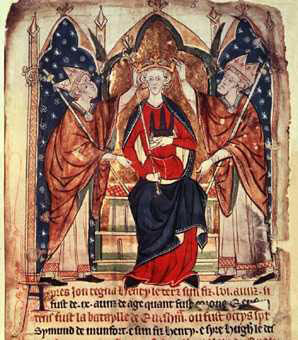 802 Egbert (King of England, House of Wessex, 802 - 839). 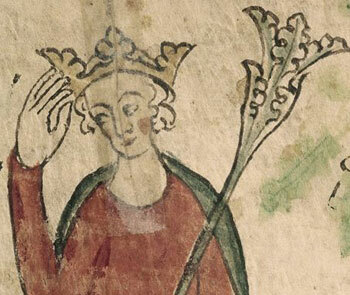 First Saxon king to be recognised as sovereign of England (part). 839 Aethelwulf (King of England (part), House of Wessex, 839 - 856). A highly religious and wealthy King. 845 Vikings are defeated by a Saxon force led by Ealdorman Eanwulf, Earl Osric and Bishop Ealhstanat, at the River Parrett (Somerset). 856 Aethelbald (King of England (part), House of Wessex, 856 - 860). 860 Aethelbert (King of England (part), House of Wessex, 860 - 866). Danes return to attack southern England but are defeated by Saxons. 866 Aethelred I (King of England (part), House of Wessex, 866 - 871). 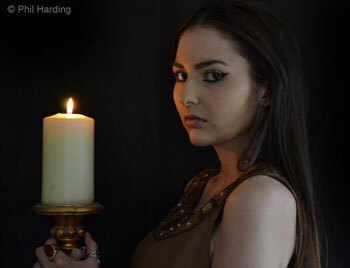 Aethelred's reign is one long struggle against the Danes. King to rule the whole of England. 871 Alfred the Great (King of England, House of Wessex, 871 - 899). 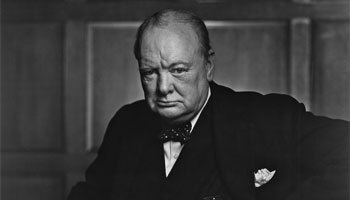 Defends England against Danish invasion and creates the first English navy. Alfred established Saxon Christian rule over Wessex and then on to most of England. The Anglo-Saxon Chronicle(s) commence under Alfred's reign chronicling the history of the Anglo-Saxons. 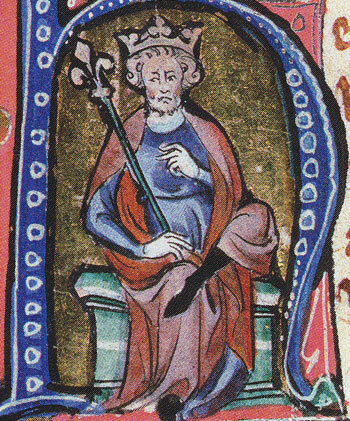 899 Edward the Elder (King of England, House of Wessex, 899 - 925). 925 Athelstan (King of England, House of Wessex, 925 - 940). 940 Edmund (King of England, House of Wessex, 940 - 946). 946 Edred (King of England, House of Wessex, 946 - 955). 955 Edwy (Eadwig) (King of England, House of Wessex, 955 - 979). 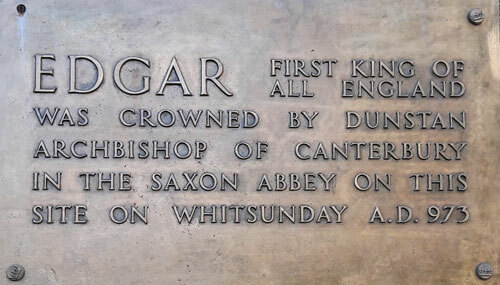 959 Edgar (becomes King of England at age 16, House of Wessex, 959 - 979). 973 Edgar is crowned in Bath Abbey (age 30). 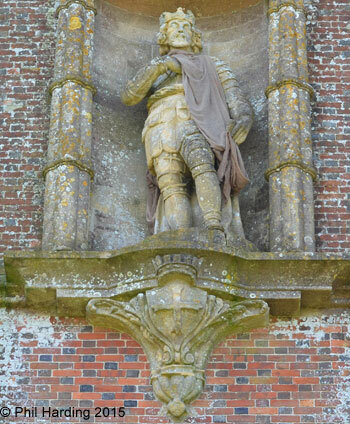 During his rule Edgar divided England into shires which were divided into hundreds. A hundred had enough land to sustain approximately one hundred households headed by a hundred-man. 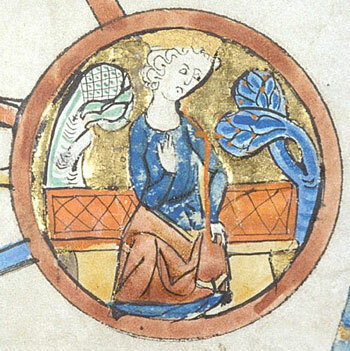 975 Edward the Martyr (King of England, House of Wessex, 975 - 978). 978 King Ethelred II the Unready (King of England, House of Wessex, 978 - 1013 & again from 1014 - 1016). Nickname is a corruption of the Old English 'unreed', meaning badly counselled or poorly advised. 1013 Sweyn Forkbeard ruled as King of England for only 5 weeks (25.12.1013 - 3.2.1014) until his death. 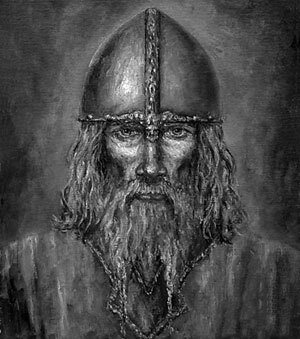 The son of Harald Bluetooth, Sweyn was a brutal and violent warlord, he was never crowned and hence is often forgotten. He was the father of Cnut (Canute). 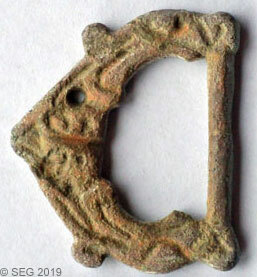 11th Century "Saltford Viking Buckle" (bronze). c.1000 - 1060s The (lower) tower for St. Mary's Church, Saltford, constructed (observation & defence tower and/or place of worship?). NOTE. There may have been another building with the tower. 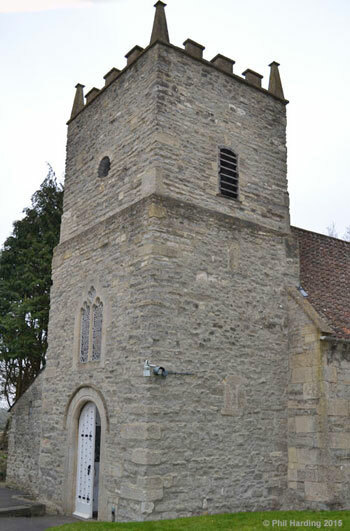 The tower was subsequently extended upwards and any other attached building replaced by the Norman church building thereafter. 1016 Edmund lronside (King of England, House of Wessex, 1016 - for just 7 months). 1016 Cnut (Canute) (King of England, House of Denmark, 1016 - 1035). Also King of Denmark from 1018, and Norway from 1028. 1035 Harold I Harefoot (King of England, House of Denmark, 1035 - 1040). 1040 Harthacanut (King of England, House of Denmark, 1040 - 1042). 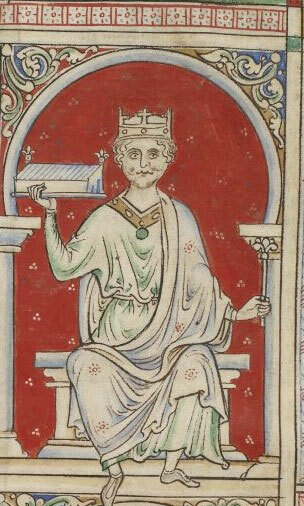 1042 Edward the Confessor (King of England, House of Wessex, 1042 - 1066). 1066 King Harold (King of England, House of Wessex, 1066). 1066 Norman Conquest of Britain under William of Normandy known as "William the Conqueror" who became King William I (reigned 1066 - 1087). 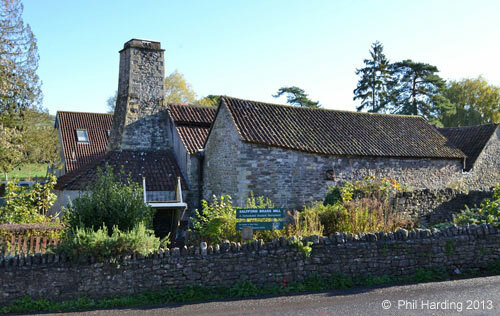 Scheduled as an Ancient Monument in 1986, Saltford Brass Mill (pictured here in 2013) is probably on the same site as the mill referred to in the Domesday Book entry for Saltford. Saltford Brass Mill website: www.brassmill.com. of Saltford is in the 1086 Great Domesday Book. 1087 William II (King of England 1087 - 1100). 1099 1st Crusade under Godfrey of Bouillon takes Jerusalem. 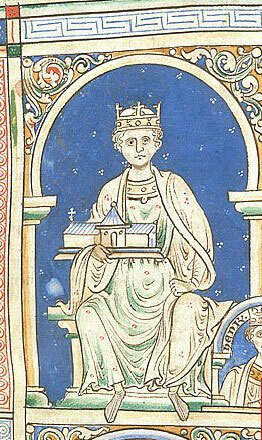 1100 Henry I (King of England 1100 - 1135). 1135 Stephen (King of England 1135 - 1154). 1148 2nd Crusade fails to capture Damascus. 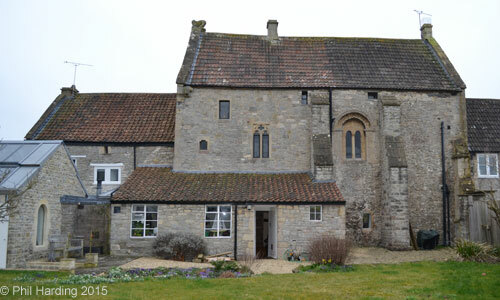 1148 Saltford Manor (link) built on estate then owned by the Earls of Gloucester and previously owned by Geoffrey de Montbray, the Bishop of Coutances (Normandy). Saltford Manor House thought to have been associated with Keynsham Abbey. 1154 Henry II (King of England 1154 - 1189). End of Norman period of reign in England and commencement of Plantagenet dynasty (family of French descent from Anjou in the lower Loire Valley). 1161 Explosives used in warfare in China. Richard I (1157 - 1199). 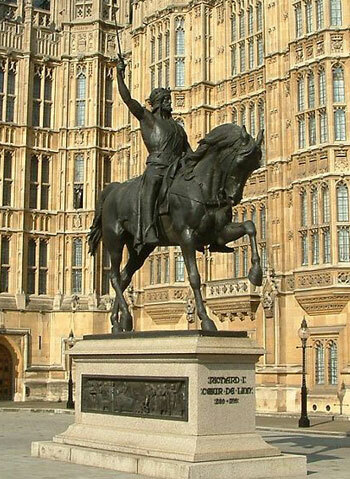 1189 Richard I (King of England 1189 - 1199). Also known as 'Richard the Lionheart'. 1189 3rd Crusade launched (ends 1191 having failed to regain Jerusalem). 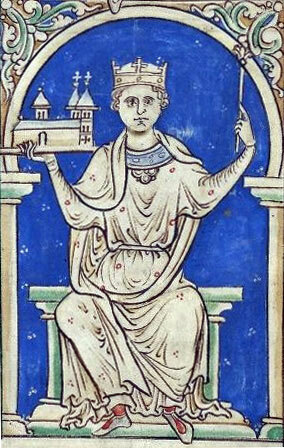 1199 John (King of England 1199 - 1216). 1202 4th Crusade takes Zara (now Zadar in Croatia) from Byzantines. 1204 4th Crusade captures Constantinople (formerly known as Byzantium, now Instanbul in Turkey). Cotton MS. Augustus II. 106 (held by the British Library). 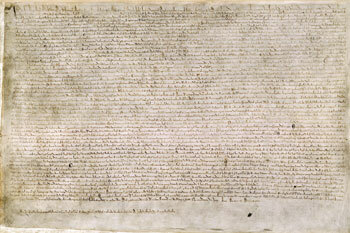 1215 Magna Carta signed at Runnymede near Windsor by King John (15th June). 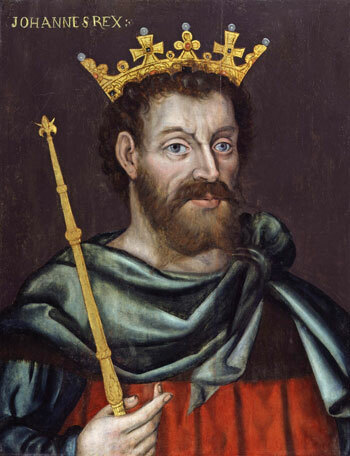 1216 Henry III (King of England 1216 - 1272). 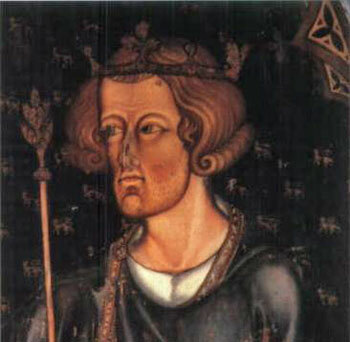 1272 Edward I (King of England & Wales 1272 - 1307). 1284 Principality of Wales incorporated into the Kingdom of England under the Statute of Rhuddlan (also known as Statute of Wales) following Edward I's suppression of rebellions in Wales with a successful full-scale war of conquest. Edward subjected Wales to English rule, built a series of castles and towns and settled them with English people. 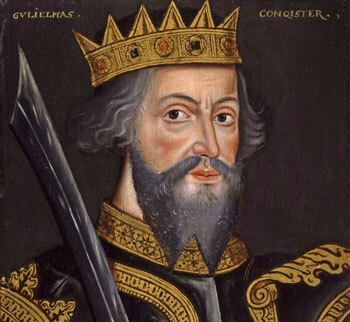 1307 Edward II (King of England 1307 - 1327). 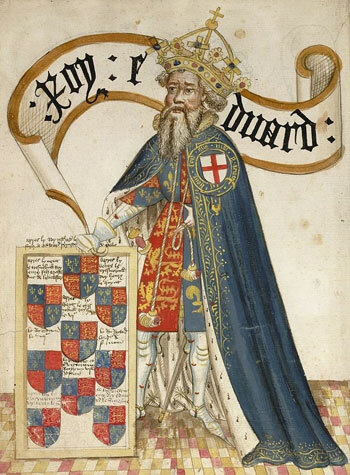 1327 Edward III (King of England 1327 - 1377). 1337 (to 1453) The Hundred Years' War commences - a series of conflicts waged between the House of Plantagenet, rulers of the Kingdom of England, against the House of Valois, rulers of the Kingdom of France. 1348 Black Death (bubonic plague pandemic) reaches Europe and England. 1350 World population estimated to be 370 million; England's population estimated to be just over 15 million. 1368 - 1644 Ming Dynasty in China. 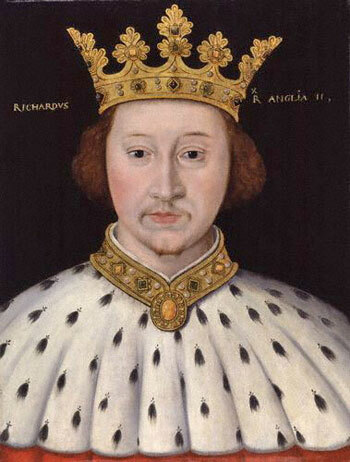 1377 Richard II (King of England 1377 - 1399). 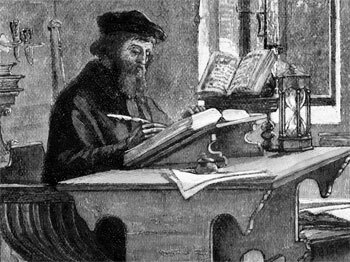 John Wycliffe translating the bible. 1382 - 1395 John Wycliffe translates Bible from Latin to Medieval English. 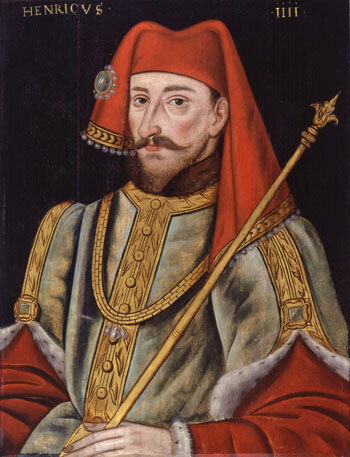 1399 Henry IV (King of England 1399 - 1413). 1400s North Somerset is centre of thriving woollen industry. Saltford mill adapted for fulling (cleansing of cloth, particularly wool, to eliminate dirt and other impurities, and to make it thicker). 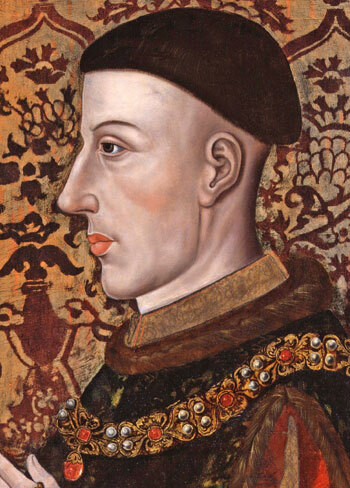 1413 Henry V (King of England 1413 - 1422). 1415 Battle of Agincourt was a major English victory for Henry V in the Hundred Years' War. The battle occurred on 25 October 1415, near modern-day Azincourt, in northern France. 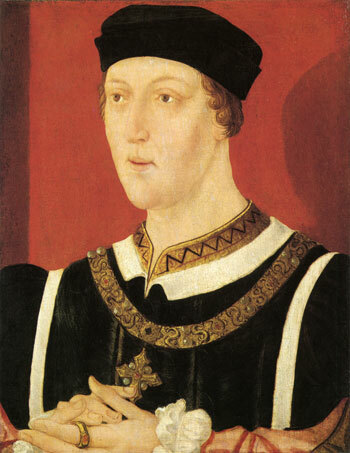 1422 Henry VI (King of England 1422 - 1461 & 1470 - 1471). 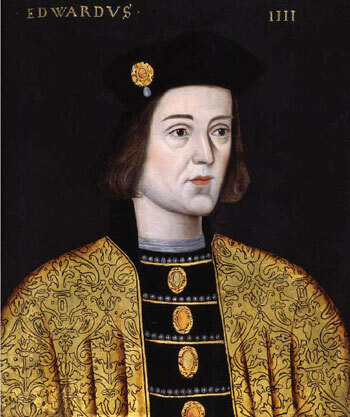 1461 Edward IV (King of England 1461 - 1470 & 1471 - 1483). of his printing at Westminster. 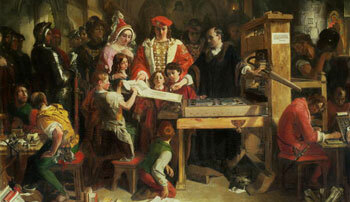 1476 William Caxton sets up printing press at Westminster. 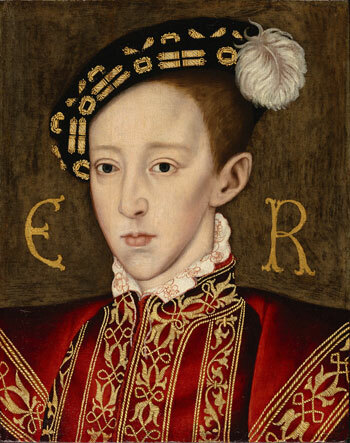 1483 Edward V (King of England for 86 days in 1483). 1483 Richard III (King of England 1483 - 1485). 1485 Death of Richard III in the Battle of Bosworth Field marks end of the Middle Ages in England and the last of the Plantagenet dynasty (1154 - 1485). Note. 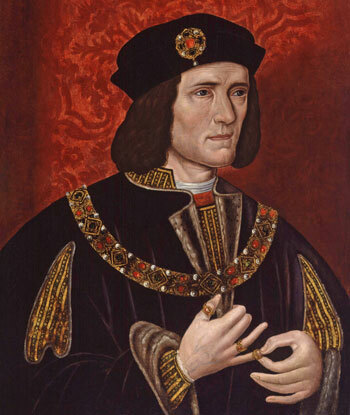 The medieval period did not end abruptly with the death of Richard III in 1485. It is reasonable to suggest that this period of English history gradually phases out up until the end of the reign of Henry VIII in the middle of the 16th Century. 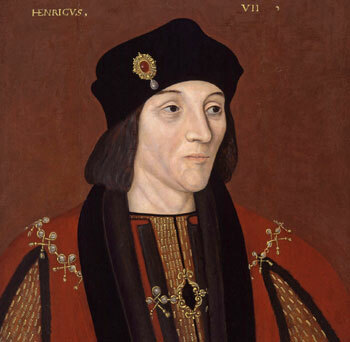 1485 Henry VII (King of England 1485 - 1509, commencement of rule by the House of Tudor). 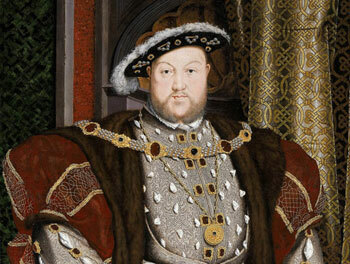 1509 Henry VIII (King of England & First English King of Ireland 1509 - 1547). 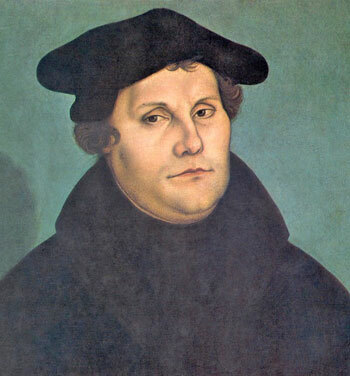 1517 Martin Luther, German theologian and priest, produces his "Disputation of Martin Luther on the Power and Efficacy of Indulgences" (31 October) criticising the Roman Catholic Church. This became the foundation for the Protestant Reformation. 1536 Dissolution of smaller monasteries by Henry VIII and Thomas Cromwell (remainder dissolved 1539). 1539 Dissolution of Keynsham Abbey leading to a significant re-distribution of land holdings in Keynsham and Saltford. 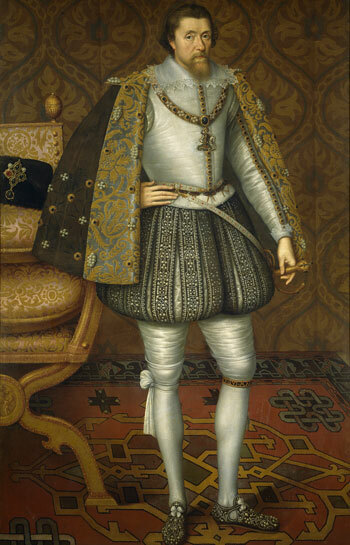 1547 Edward VI (King of England & Ireland 1547 - 1553). 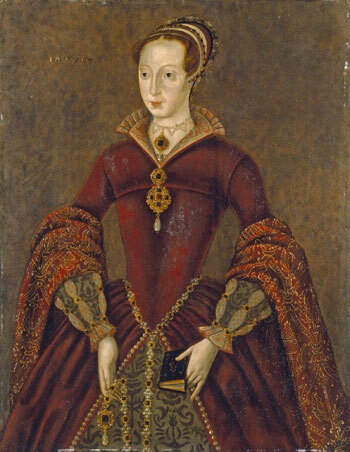 1553 Jane (Queen of England & Ireland for 9 days in 1553). 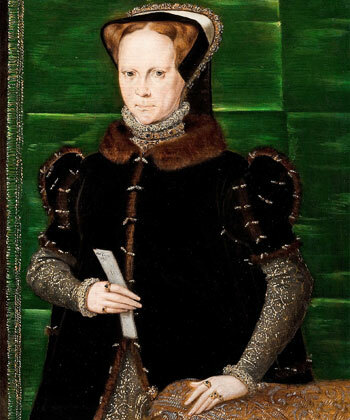 1553 Mary I (Queen of England & Ireland 1553 - 1558). 1554 - 1558 Philip & Mary. 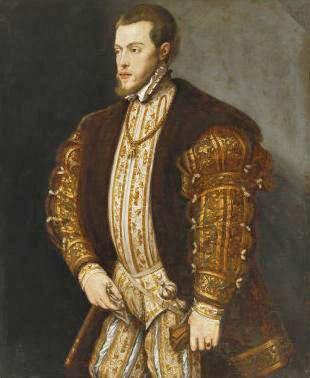 Under the terms of the 1554 marriage treaty between Philip (Philip I of Naples and Philip II of Spain) and Queen Mary, Philip was to enjoy Mary's titles and honours for as long as their marriage should last. 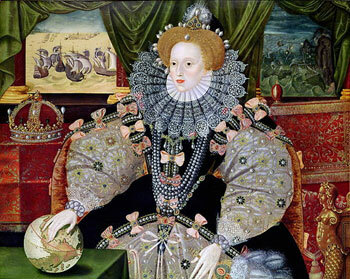 1558 Elizabeth I (Queen of England & Ireland 1558 - 1603). 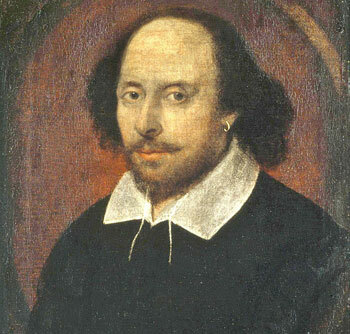 1564 Birth of William Shakespeare (1564-1616). 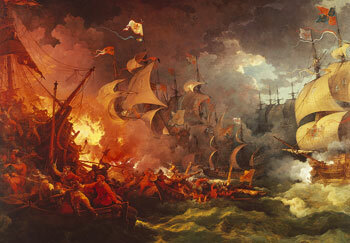 1588 Sir Francis Drake defeats Spanish Armada. Late 1500s Woollen industry collapses - this has an impact on Saltford mill (see 1613 entry). End of the Tudor Period in England. 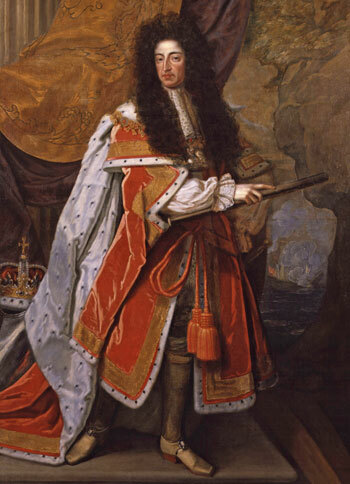 Commencement of the Stuart period (1603-1714) and the Jacobean period (1603-1625). 1603 James I (King of England, Wales & Ireland, and of Scotland as James VI, 1603 - 1625). 1605 'Gunpowder Plot' to blow up Parliament and thereby assassinate James I fails as Guy Fawkes discovered (5th November) with barrels of gunpowder underneath the House of Lords. 1613 John Cox, fuller from Saltford Lower Mill, pleads for 'clemency after hard times and loss of his premises'. 1625 Charles I (King of England, Wales, Ireland & Scotland 1625 - 1649). 1642 - 1646 1st of the three English Civil Wars (1642 - 1651). 1643 Royalists defeat the Parliamentary army (also known as the Roundheads) at Chalgrove Field, and take Bristol. Roundheads during the Civil War in 1643. 1646 King Charles I surrenders to the Scots, who hand him over to Parliament. 1648 - 1649 2nd English Civil War. 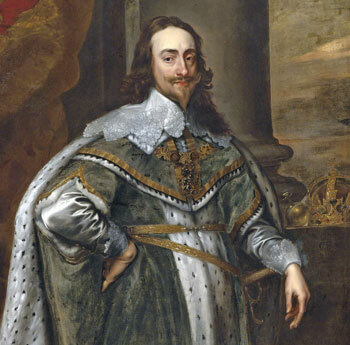 1649 King Charles I executed. Commencement of 11 years rule by Parliament of the Commonwealth (England, Wales, Ireland & Scotland) under Oliver Cromwell. 1649 - 1651 3rd English Civil War. 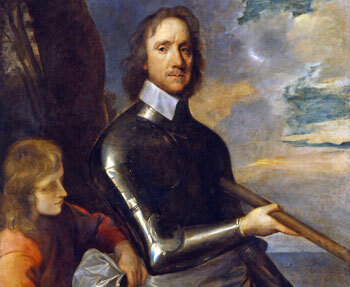 1658 Oliver Cromwell dies and is succeeded by his son Richard Cromwell. 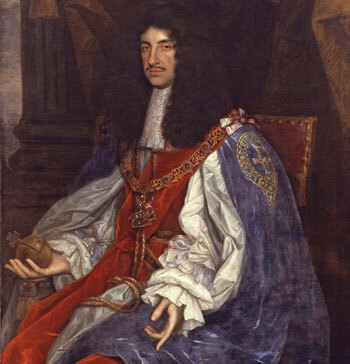 1660 Charles II returns to England from Holland and is restored to the throne (King of England, Wales, Ireland & Scotland 1660 - 1685). 1685 James II (King of England, Wales, Ireland & Scotland 1685 - 1688). 1685 Monmouth Rebellion (or 'West Country Rebellion'). 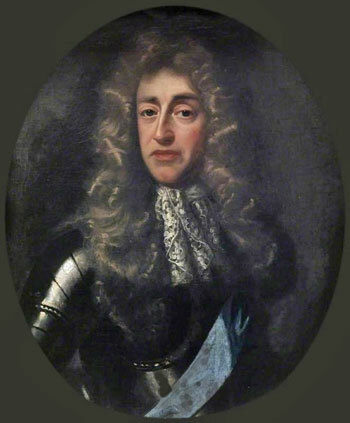 James Scott, 1st Duke of Monmouth, an illegitimate son of Charles II lands from the Netherlands at Lyme Regis, Dorset, and claims to be the rightful heir to the throne. After a series of skirmishes and defeat by the Royalists at the Battle of Sedgemoor on 6th July, Monmouth was executed for treason on 15th July 1685. Many of his rebel supporters were tried and condemned to death or transportation at the Bloody Assizes, led by Lord Chief Justice Judge Jeffreys. 1687 Isaac Newton's law of universal gravitation published. 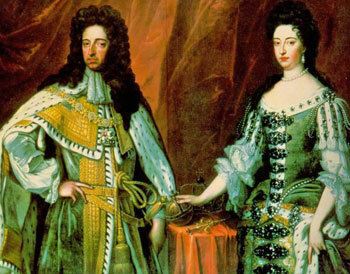 1688 William III of Orange and Mary II (jointly) (King & Queen of England, Wales, Ireland & Scotland 1688 - 1694). 1694 William III (alone) King of England, Wales, Ireland & Scotland 1694 - 1702). 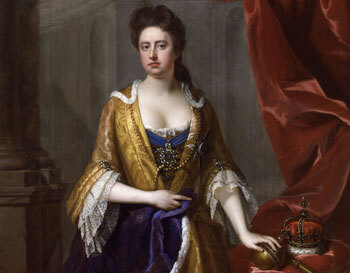 1702 Anne (Queen of England, Wales, Ireland & Scotland 1702 - 1714). NOTE: Queen Anne passed through Saltford in 1702 - details in Online Museum. End of the Stuart period (1603-1714) and start of the Georgian period (1714-1830). 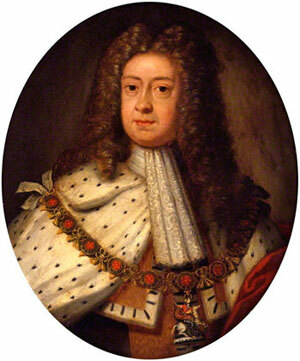 1714 George I (King of England, Wales, Ireland & Scotland 1714 - 1727). 1721 Bristol Brass Company acquire Saltford Mill and convert it to a Brass Battery Mill for the manufacture of hollow-ware for trade with West Africa. 1720s German immigrants skilled in brass battery employed in Saltford Brass Mill. Family names such as Buck, Crinks, Craymer, Fray, Frankham, Ollis, Racker and Steger become common in area. 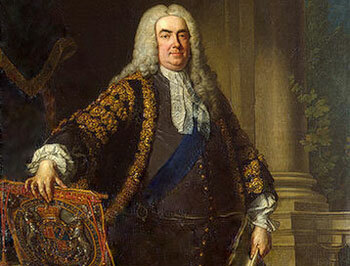 1721 Robert Walpole becomes the first Prime Minister of Great Britain. 1725 Civil engineer John Hoare of Newbury employed by the riverside proprietors to produce plans for making the river Avon navigable from Bristol to Bath. 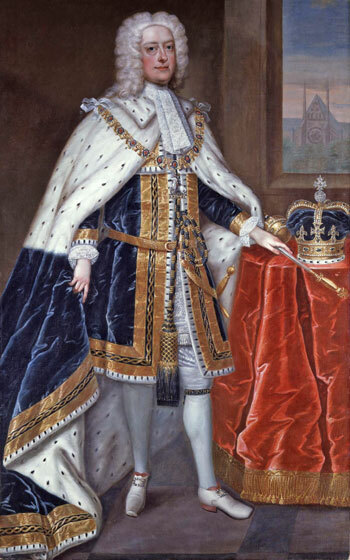 1727 George II (King of England, Wales, Ireland & Scotland 1727 - 1760). 1727 Avon Navigation opened linking Bath to Bristol. 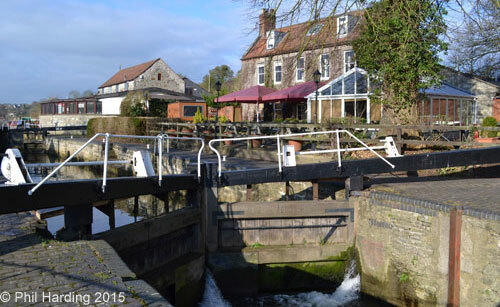 Locks built (by Bristol based civil and mechanical engineer John Padmore) bypassing Saltford and Kelston weirs. 1728 With the Avon open to commercial traffic coal could come up the Avon from Shropshire or South Wales. 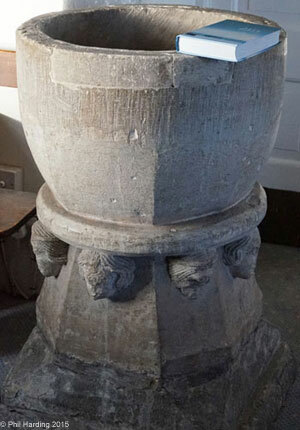 1728 Princess Amelia, who disliked road transport, whilst staying in Bath travelled through Saltford to Bristol on the River Avon by taking advantage of the new navigation - details in Online Museum. 1738 Kingswood coal miners, angered by the threat to their livelihood, wreck the lock at Saltford. 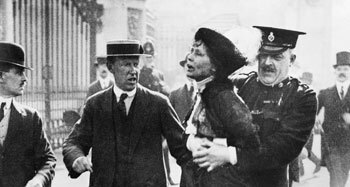 Rioters claimed that 300 men had caused the damage and that 1,000 men were ready to stop the transport of coal by water. However, the protests died down. 1738 - 1739 John and Charles Wesley start the Methodist movement in Britain; first chapel established in Bristol (1739). 1750 Peak of the Little Ice Age (c.1350 to c.1850). 1750 Prince Frederick of Wales and his daughter Princess Augusta have royal picnic in Saltford - details in Online Museum. 1751 The first recorded cricket match in Somerset played at Saltford on July 13th. This was to commemorate the death in March 1751 of Prince Frederick of Wales who had visited Saltford the preceding year. 'Gregorian Calendar' in 1582, adopted by Britain in 1752. 1752 Britain adopts Gregorian calendar with the "Calendar (New Style) Act 1750" as used in most of western Europe. 1753 British Museum begun with the Government's purchase of Sloane's collection. 1757 Battle of Plassey signals the beginning of formal British rule in India after years of commercial activity under the auspices of the East India Company. 1759 James Brindley designs the Worsley-Manchester Canal and canal transport in Britain commences. 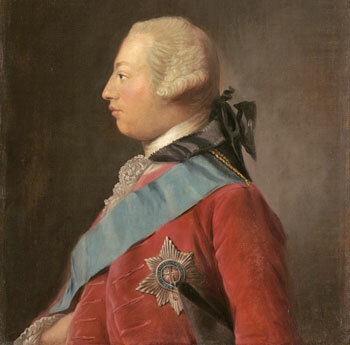 1760 George III (King of England, Wales, Ireland & Scotland 1760 - 1820). 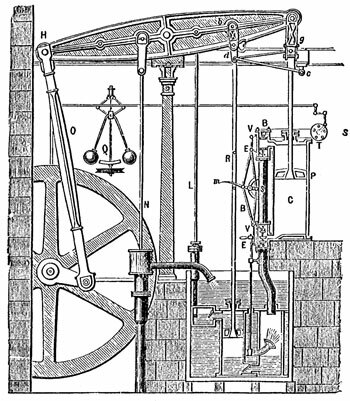 1769 James Watt patents his steam engine design that uses a separate condenser thereby greatly increasing the thermal efficiency of the steam engine. 1770 James Cook claims the East Coast of Australia (New South Wales) for Great Britain. 1776 United States Declaration of Independence. 1776 First commercial Boulton and Watt steam engine built. 1789 - 1799 The French Revolution. 1798 Irish Rebellion fails to overthrow British rule in Ireland. 1800 World population c.1 billion (c.978 million). 1801 First census of England, Scotland and Wales (Note: the Domesday survey of 1085-1086 [Link] covered most of England and parts of Wales). Saltford's population recorded as 223. The Census population data for Saltford is shown below. 1804 1st steam locomotive made by Richard Trevithick. 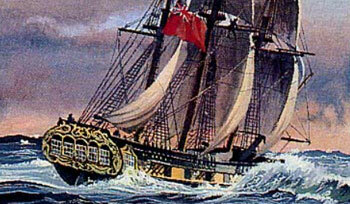 1805 Battle of Trafalgar (21st October). 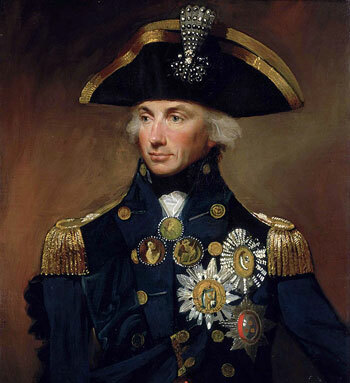 Royal Navy under Vice-Admiral Horatio Lord Nelson (died during the battle) defeats French and Spanish combined fleet. 1807 Slave Trade Act prohibits British citizens from operating in the slave trade, leading to contraction of the brass industry in the Avon valley (including Saltford Brass Mill) as the African demand for brass products used for purchasing slaves ceases. 1815 Battle of Waterloo (18th June). Napolean's French army defeated by Anglo-allied army under the Duke of Wellington. 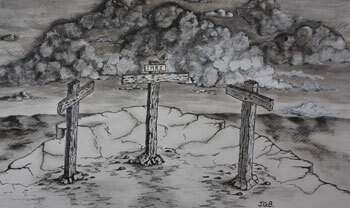 1816 Bristol Turnpike Trust appoints Scottish engineer and road-builder John Loudon McAdam (1756 - 1836, inventor of the macadam convex road surfacing design to drain away surface water) to survey and thus help create the modern route between Bristol and London (incl. through Saltford). 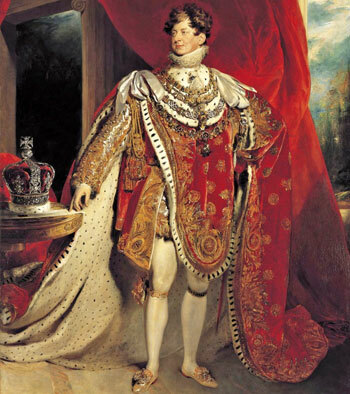 1820 George IV (King of England, Wales, Ireland & Scotland 1820 - 1830). 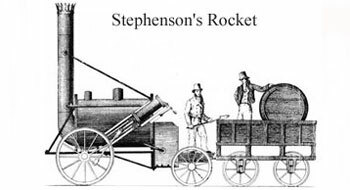 1829 Henry Booth & George & Robert Stephenson's "Rocket" brings together several technologies to produce an "advanced locomotive". Template for most steam engines in the following 150 years. 1829 As Home Secretary, Robert Peel introduces the Metropolitan Police Force for London based at Scotland Yard. 1,000 constables employed were nicknamed 'Bobbies' or 'Peelers' (by 1857 all UK cities were obliged to have their own police forces). End of the Georgian period (1714-1830). 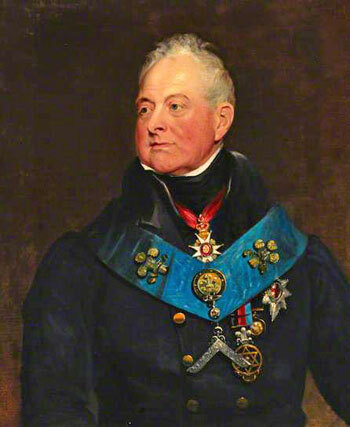 1830 William IV (King of England, Wales, Ireland & Scotland and of Hanover 1830 - 1837). 1831 Ceremony held to mark the start of work to build the Clifton Suspension Bridge, Bristol, finally opened in 1864. 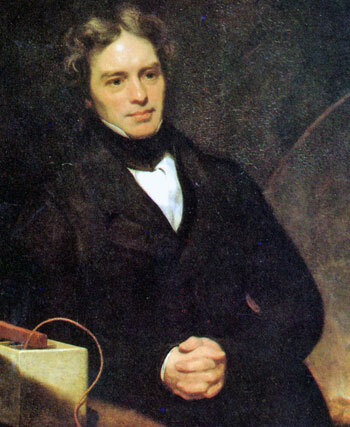 Project Engineer was Isambard Kingdom Brunel who died 5 years before its completion. 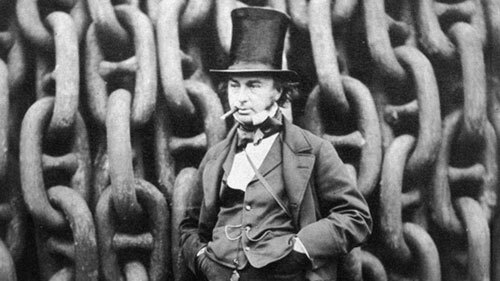 1833 Isambard Kingdom Brunel (1806 - 1859) appointed Chief Engineer to build the Great Western Railway (GWR) running from London to Bristol (and later Exeter). 1833 Act of Parliament passed to abolish slavery throughout the British Empire. c.1830s Britain ceases to be self-sufficient in food and becomes a net importer of food. concerning GWR construction in the 1830s. 1836 Late 18th C property, The Villa (subsequently renamed 'Tunnel House') purchased by Brunel and conveyed to GWR company in December 1837. 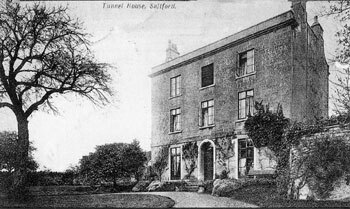 Used to house Brunel's engineers; railway passes directly beneath property (Saltford tunnel) - details of purchase in Online Museum. Conyngham (left) and the Archbishop of Canterbury (1837). 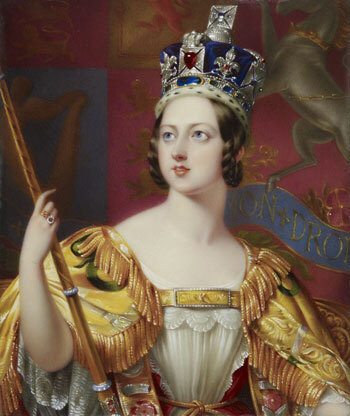 1837 Victoria (Queen of England, Wales, Ireland & Scotland 1837 - 1901, and Empress of India 1876 - 1901). 1838 First trains run on the Great Western Railway. 1840 Penny Black introduced in May 1840 as the world's first adhesive postage stamp used in a public postal system. Thomas Moore Musgrave, Bath Postmaster, is believed to be the first person to use the stamp. 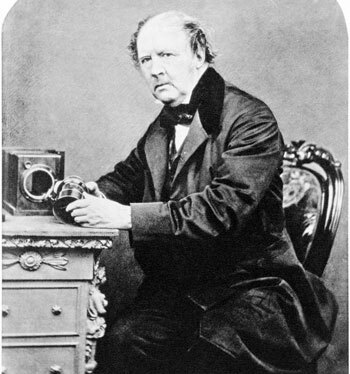 1840 Fox Talbot invents calotype photographic process reducing exposure time to a few minutes, producing a negative image and the ability to make contact prints. 1840s Earliest known parish records of a school in Saltford, in one of the three ancient cottages facing the High Street, just below Saltford Manor, known as Gray's Cottages (area later named Queen's Square). These were picturesque with gabled thatched roofs. 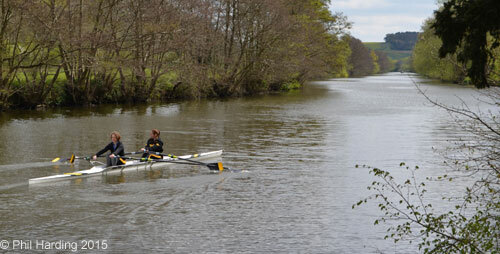 the First Bath Regatta and rowing to Saltford. 1849 First Bath Grand Regatta held (July) for rowing crews representing Bath, Bristol and Oxford, in a series of races over the 'Saltford straight'. 1853 - 1856 Crimean War (in which Russia lost conflict to an alliance of France, Britain, the Ottoman Empire, and Sardinia). Florence Nightingale serves as manager of nurses trained by her during the war. 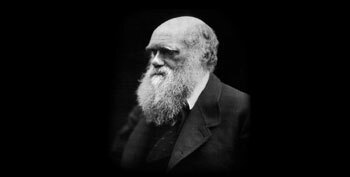 1859 Publication of Charles Darwin's The Origin of the Species. 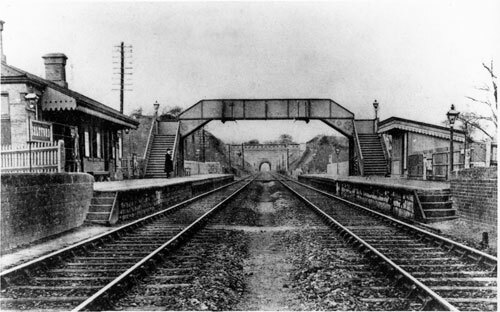 1869 Rival station to Saltford Railway Station opens at Kelston on the nearby Mangotsfield and Bath Branch Line of the Midland Railway. 1864 Clifton Suspension Bridge, Bristol, opens. 1871 Bank Holidays Act 1871 introduces first four official Bank Holidays (Easter Monday, Whit Monday, First Monday in August, and Boxing Day/St Stephen's Day) in England, Wales and Ireland (Scotland treated differently, e.g. New Year's Day more important). 1873 Original timber Saltford Railway Station building destroyed by fire; replacement constructed from stone. 1874 Saltford school pulled down and "rebuilt by Juliana Kelly", widow of Admiral Benedictus Marwood Kelly of Saltford House. 1879 Thomas Edison invents and successfully tests the electric light bulb. 1880 - 1881 1st Boer War. 1880s Sewage contamination of Saltford's water supply results in serious illness and deaths (Link). 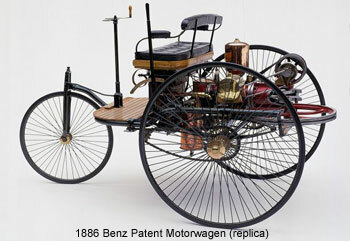 1886 Motor car invented by German inventor Karl Benz (the 'Benz Patent-Motorwagen'). 1896 Marconi awarded patent for radio 'Improvements in Transmitting Electrical Impulses and Signals and in Apparatus There-for'. 1899 - 1902 2nd Boer War. 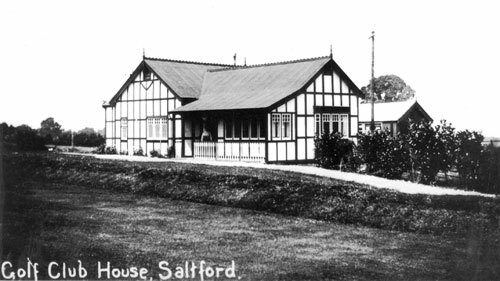 1890 The Bath Grand Regatta organised by the Avon and Bristol Rowing Clubs is renamed 'Saltford Regatta' (Saltford Regatta was staged for the last time in 1972 but Avon Rowing Club retains its HQ at Saltford). 1900 World population c.1.5 billion (50% increase during 19th C). 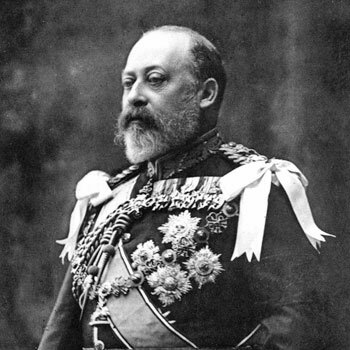 1901 Edward VII (King of England, Wales, Ireland & Scotland 1901 - 1910). 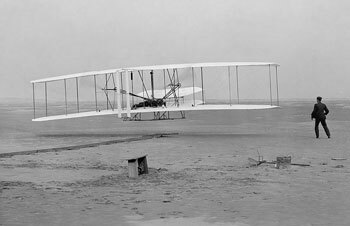 1903 1st manned flight by the Wright brothers, North Carolina, U.S.A.
1904 Saltford Golf Club established. 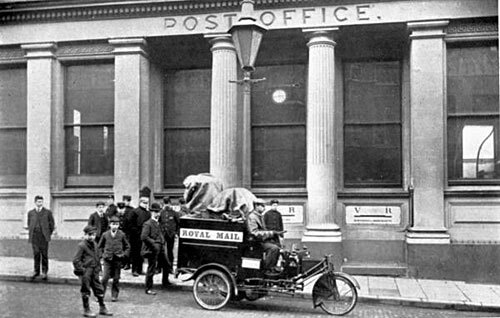 Avon Tri-mobile at Bristol Post Office, Small St, 1905. 1905 Avon Tri-mobile, constructed by the Avon Motor Manufacturing Company in Keynsham that was owned by Saltford resident George Henshaw, first motor vehicle powered by an internal combustion engine used by the Post Office in Bristol. 1908 Ford Model T introduced as a car available to the masses. 1908 Brass battery ceases at Saltford Brass Mill. 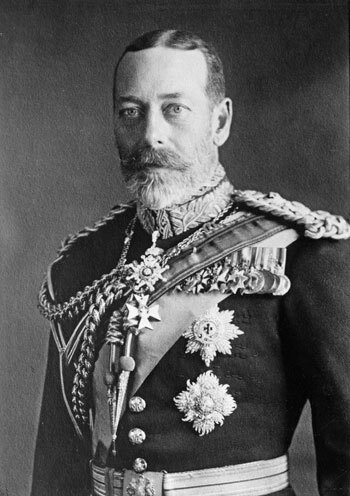 1910 George V (King of England, Wales, Ireland & Scotland 1910 - 1936). 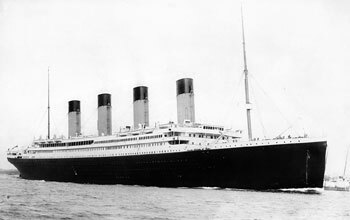 1912 RMS Titanic sinks on maiden voyage with loss of over 1,500 lives leading to major improvements in maritime safety. 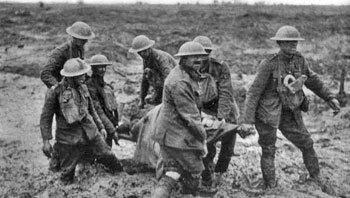 1914 - 1918 World War I leading to the death of over 9 million combatants and 7 million civilians. 1918 Women over age 30 who meet minimum property qualifications get the vote. 1925 Brass rolling ceases at Saltford Brass Mill. 1927 Saltford Boy Scouts formed under the leadership of Mr Exon. 1927 Saltford gets electricity supply (from Bristol). 1928 Penicillin credited to have been discovered by Alexander Flemming. 1928 All women over age 21 get the vote. 1929 First British Television broadcast (by Baird over the BBC radio transmitter). 1929 - 1939 The Great Depression. 1931 1st Saltford Girl Guides formed with 8 recruits. 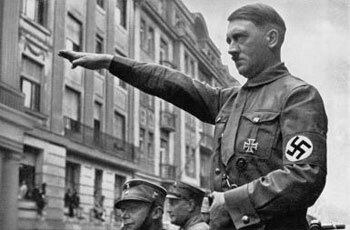 1933 Adolf Hitler appointed German Chancellor. 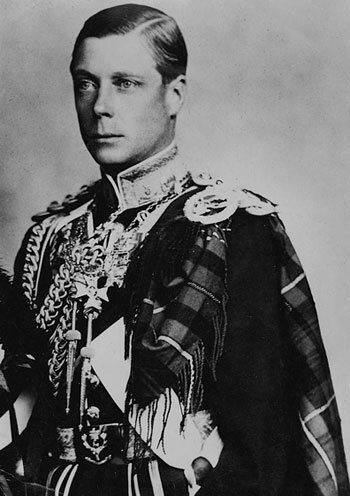 1936 Edward VIII (King of England, Wales, Ireland & Scotland 1936). 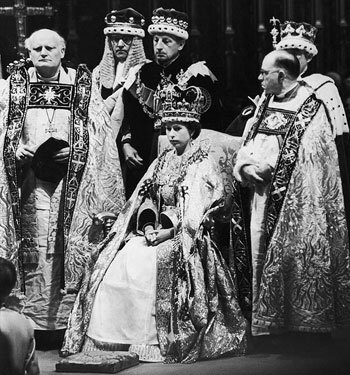 Abdicates on 11 December 1936 after only 326 days on the throne. 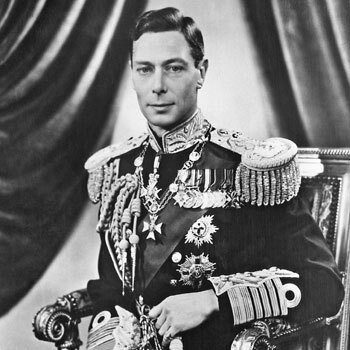 1936 George VI (King of England, Wales, Ireland & Scotland 1936 - 1952. The last Emperor of India and the first Head of the Commonwealth). least 1.1 million prisoners were exterminated or perished. 1933 - 1945 'The Holocaust' (or 'Shoah' in Hebrew) - Germany's Third Reich exterminates 6 million European Jews. Lt. John H HETHEY is commemorated. 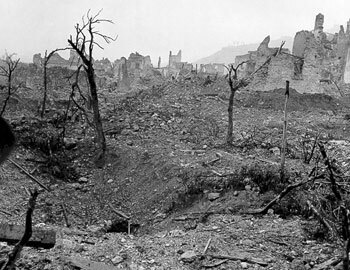 1939 - 1945 World War II resulting in an estimated 50 million to 85 million fatalities (incl. Holocaust victims & deaths at Hiroshima & Nagasaki). 1945 USA tests the first nuclear weapon ("Trinity"). Deploys two nuclear weapons at Hiroshima and Nagasaki. 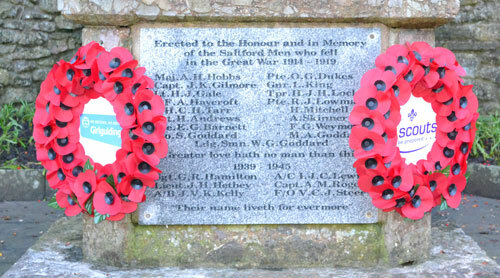 Saltford's War Memorial listing Saltford men who gave their lives in WWI & WWII. 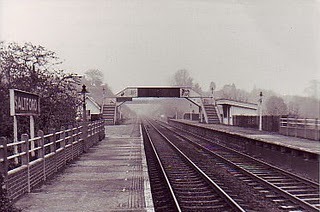 1948 Kelston station closes. 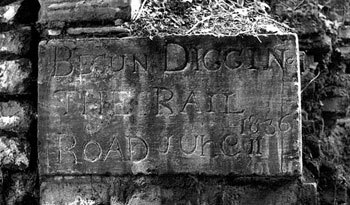 Line (Midland Railway Mangotsfield and Bath Branch) remains open until 1966. 1948 - 1949 The Berlin Blockade is the first major crisis of the 'Cold War' between the Western Bloc (United States, NATO allies and others) and the Eastern Bloc (Soviet Union and its Warsaw Pact allies). 1948 National Health Service established. 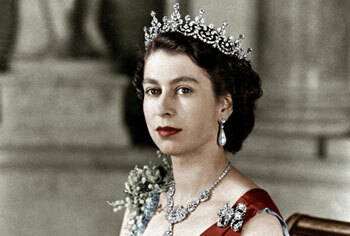 1952 Elizabeth II (Queen of England, Wales, Ireland & Scotland and Head of the Commonwealth 1952 - date). 1955 Bristol Avon Sailing Club founded at Mead Lane, Saltford. 1961 First manned spaceflight (Vostok 1) makes one orbit around Earth. 1962 Saltford School moves from Queen's Square to Claverton Road. 1966 First Severn Crossing (motorway suspension bridge) inaugurated. 1966 Midland Railway Mangotsfield and Bath Branch Line closes ("Beeching" cuts). walk on the moon). Lunar Module "Eagle" behind (1969). 1969 Man (Apollo 11) lands on the moon (20th July). (2 years prior to closure). The new decimal coins, 1971. 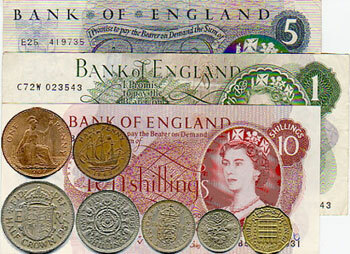 1971 "Decimal Day" (15 Feb) UK decimalises its currency. is possibly the most widely distributed image ever. 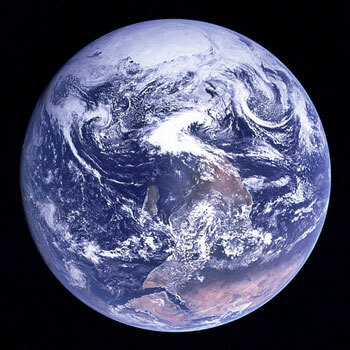 1972 The "Blue Marble" full Earth image photographed by the NASA Apollo 17 space mission (7th December). Released during a surge of interest in environmental issues, this first ever seen complete image of our planet is widely seen as a depiction of Earth's frailty, vulnerability, and humanity's need to live within the planet's 'carrying capacity'. 1973 Britain joins European Economic Community (EEC). 1975 North Sea Oil comes ashore in Britain from the Forties oilfield 110 miles east of Aberdeen. 1979 Margaret Thatcher elected as Britain's first female Prime Minister (until 1990). 1982 Falklands War, South Atlantic. First commercially available mobile phone, 1983. 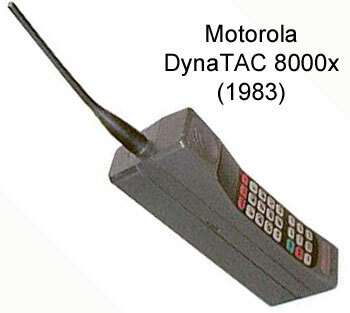 1983 First commercially available mobile phone (the DynaTAC 8000x from Motorola Inc.). 1986 Former Midland Railway Mangotsfield and Bath Branch Line reopened by Sustrans (founded by John Grimshaw) as Bristol to Bath cycleway (National Cycle Network National Cycle Route 4). 1989 Fall of the Berlin Wall, symbolizing the collapse of European Communist governments and graphically ending the 'Iron Curtain' divide of Europe. 1989 World Wide Web invented by the British computer scientist Tim Berners-Lee (1st test completed December 1990, debut of www as a publicly available service on the Internet from 23.8.1991). 1990 Poland becomes the first country in Eastern Europe to begin abolishing its state socialist economy and withdraws from the Warsaw Pact. 1990 Nelson Mandela, South African anti-apartheid revolutionary, freed after 27 years in prison (President of South Africa from 1994 to 1999). 1991 Collapse of the Soviet Union. 1991 Delabole Wind Farm, Cornwall, 1st commercial operating wind farm in UK. 1994 Channel Tunnel ('Le tunnel sous la Manche') also known as Eurotunnel opened by HRH Queen Elizabeth II and French President François Mitterrand on 6th May linking Folkestone with Coquelles, Pas-de-Calais, near Calais. 1999 Euro becomes the New European Currency (UK retains the pound). 2000 World population c.6 billion (fourfold increase during 20th C). 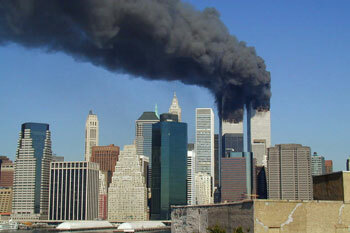 'Twin Towers' hit by terrorist attack, Sept 11, 2001. 2001 "9/11" (September 11th) coordinated terrorist attacks by the 'Islamic' terrorist group al-Qaeda on the United States in New York City and Washington D.C. metropolitan area. N & S towers of the World Trade Center in New York collapse. 2,996 people killed. 2007 - 2008 Global Financial Crisis. 2008 Phoenix robotic spacecraft discovers water ice on Mars (9+ months after leaving Earth). 2012 Carthaginian Coin discovered in Saltford by the river Avon (29th November). Authenticated by the British Museum 11.12.2012. 2014 European Space Agency robotic spacecraft Philae lands successfully on comet 67P, the first cometary landing ever. 2015 5th March: Finder (who chose to remain anonymous) of The Saltford Carthaginian Coin entrusts Saltford Environment Group's Chairman with the role of bringing it into public knowledge. 13th April: Public launch on TV, radio and internet. The source for this data from 1801 to 1991 is the Census online dataset itself except where shown. For 2001 and 2011 the data is ONS Census Stats. Author of this page: Phil Harding (2015 - 2017).